King Coal Grinds to a Halt? Friday wasn’t just the Ides of March; it was also the last day of operation for Scottish Power’s Cockenzie power station, seen variously as the last holdout of Scotland’s age of mighty manufacturing, or as a horribly visible eyesore, or as the single most polluting chunk of industrial gear in Western Europe, depending on your view. What is clear is that it belonged to another age, when the Clyde still rang with rivets, virtually all power stations—not to mention railways, ships and half the economy—ran on coal and still days in cities produced pea-souper fog that made your eyes smart and you couldn’t see five yards—caused by soot particles from a million coal fires belching smoke from a million chimneys. Despite this seeming ancient history, ‘Cockenny’ wasn’t that old. In 1961 when Preston Links (one of Prestonpans two big deep mines) closed in response to a steady drop in demand for coal, the site was earmarked for a new power station. It replaced several smaller, ageing coal stations, such as the one on the shore at Portobello (where the five-a-side pitches now are). Deigned by the architect Sir Robert Matthew, the 24-acre site is dominated by its 50m-high rectangular main building, housing four identical 300 MW generating units, giving a peak supply capacity of 1200 MW. Each unit consists of a steam boiler driving a large generating turbine and the boiler exhausts paired into two 100m-tall chimneys. 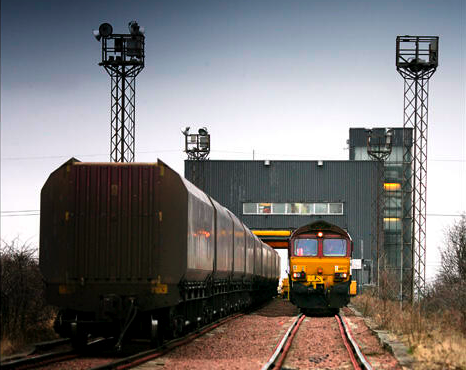 The key heavy electrical equipment for the station was manufactured by Bruce Peebles & Co. in Granton (put out of business by a major fire in 1999). Ash left after burning was piped along the shore as slurry to reclaim land in four lagoons on the east side of the Esk estuary. As a result of this, large numbers of waders, gulls and duck now use these lagoons as a high tide roost site, particularly the lagoon nearest to the river mouth. It was located there originally to be supplied to the station directly from the deep mines of the nearby coalfields, especially the Monktonhall and Bilston ‘superpits’. Both were closed by the mid-’90s and subsequent coal supplies came mostly from open cast mines, including the local Blindwells and as far away as Australia. The power station was the first to use the “merry-go-round” system of coal deliveries by trains of hopper wagons carrying 914 tonnes of coal each train. Initially operated by the nationalised South of Scotland Electricity Board, it was taken over by Scottish Power in the 1991 privatisation of the industry, then bought for £12 bn by Spain’s 2nd-largest power company Iberdrola in 2006. 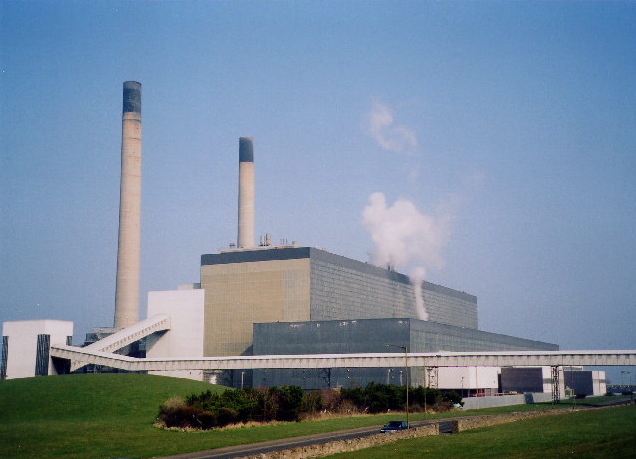 In 2005 a WWF report had named Cockenzie as the UK’s least carbon-efficient power station, in terms of carbon dioxide released per unit of energy generated. For almost half a century, it was a pivotal part of Scotland’s energy but, with Torness coming on-stream in 1987, the two nuclear plants generating a steady 2.6GW between them provided the 24/7 base load needed. This meant Cockenzie became more of an auxiliary generator, to be switched on and off as demand required. In its peak year it burnt 1.5m tons of coal but, after the damning 2006 WWF report, its life was proscribed at a certain number of operating hours, to be completed before 2014. On Friday, the clock ran out. Many people in the West of East Lothian, will mourn its passing. To them it was a symbol of mighty engineering and ‘man’s work’—a last link to the mining tradition of the area. But, like Ravenscraig, Linwood or Kinlochleven, the era of heavy engineering as a major component of the Scottish economy are long past. And though Iberdrola has plans to put a gas-fired station on the same site, that looks doubtful: the financial situation in Spain is worse than here and people question why a rich chemical feedstock like natural gas should be simply burned. More important is the opportunity cost of allowing it to continue as a power station. When built, it was surrounded by the industrial landscape of the oldest worked coalfield in Scotland. Now it is surrounded by houses and is a huge blot on the otherwise scenic and tourist-attracting Lothian coastline of the Forth. An idea being punted for a cruise ship and ferry port to replace it could be a far bigger—not to say more attractive—money-spinner. If that were augmented by a yachting marina and redevelopment of the neglected Presonpans shoreline, a linear park linking Musselburgh lagoons with Longniddry Bents could become a recreational attraction. Visitors and Edinburgh residents would put Prestonpans back on the map and put North Berwick current modest success of into the shade. This entry was posted in Commerce, Environment and tagged Cockenzie; coal power station; tourist future. Bookmark the permalink. 1 Response to King Coal Grinds to a Halt?